Having just completed my What If? Mustang GB, I was planning on getting back to my CT-133 build but this kit just kept staring at me since I picked it up last week. So onto the new cleared bench it went. 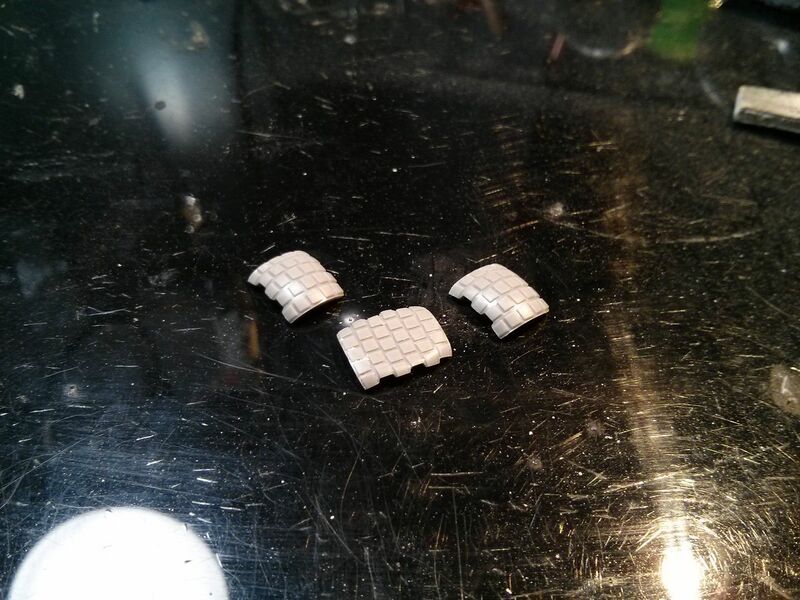 Most of the bags are open from having posted pics of the sprues in another thread. AM will consist of new seat belts and decals once they come out. I decided to start with the tires, partly because that will give me some time for the belts and decals to arrive but also because I wanted to see how they go together. 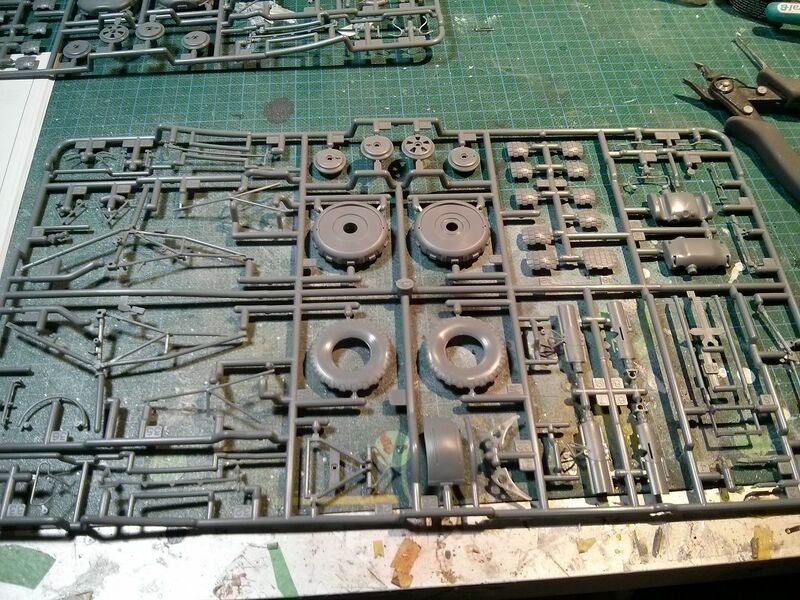 All the parts are together on one sprue which is nice. 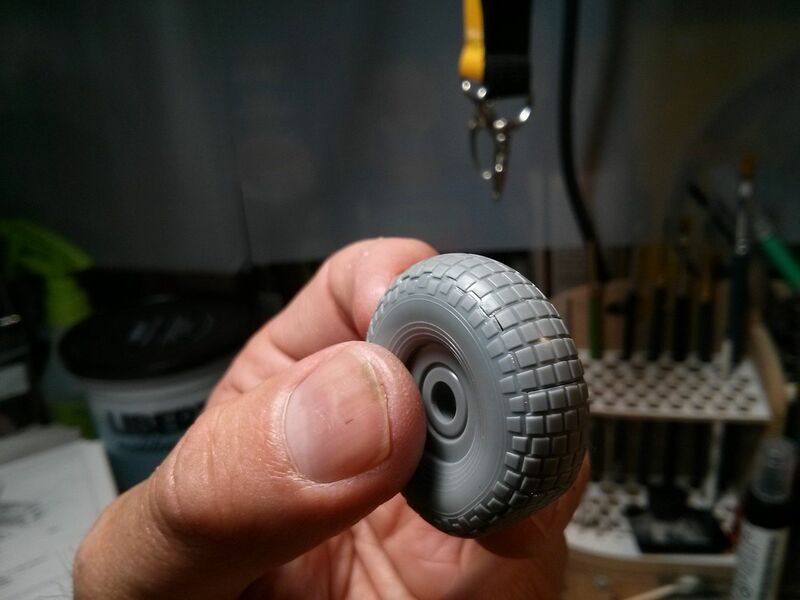 The tires have an inner section that is assembled first, to which you add the tread and sidewalls to. The bulge is reduced a bit with the sidewalls in place but is still there. 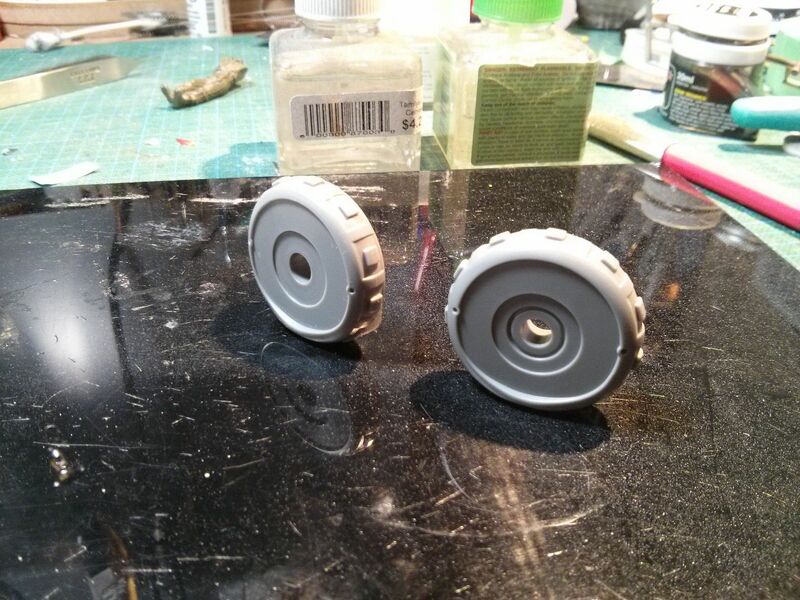 Although they are bulged, the sidewalls are not keyed so it it possible to glue them in upside down. They will fit but not well if you do. 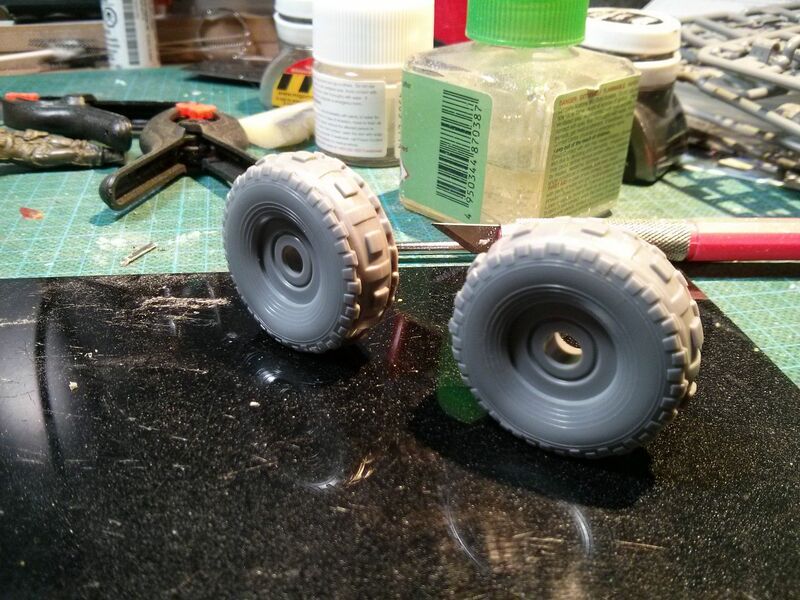 I used Tamiya Extra Thin cement to glue them in place and clamped them to ensure a tight fit. Nice! Cant wait to see if their are any issues with these.................Ive got a set of the Paragon weighted wheels waiting in the wings if they do. Hopefully they will not have any seems showing in the end. Me too, which was another reason I thought I'd start here. So many people are curious as to how well they'll turn out. What very strange construction. I'll be anxious to see how it works out. 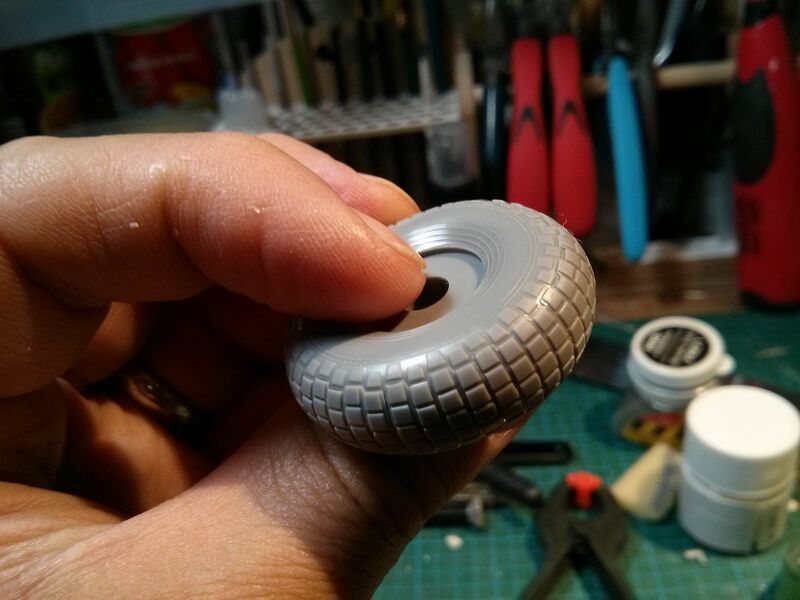 The way they have broken down the wheels into a core, side walls and finally tread plates seems to me an easier way of IMing them, without the dreaded seems..............which in the case of the block tread on the Mossies, would be VERY difficult to remove indeed. Im thinking this breakdown structure would make the circumferential pattern nearly impossible if they do intend on using the core/sidwall/tread plate breakdown for other tread patterns. 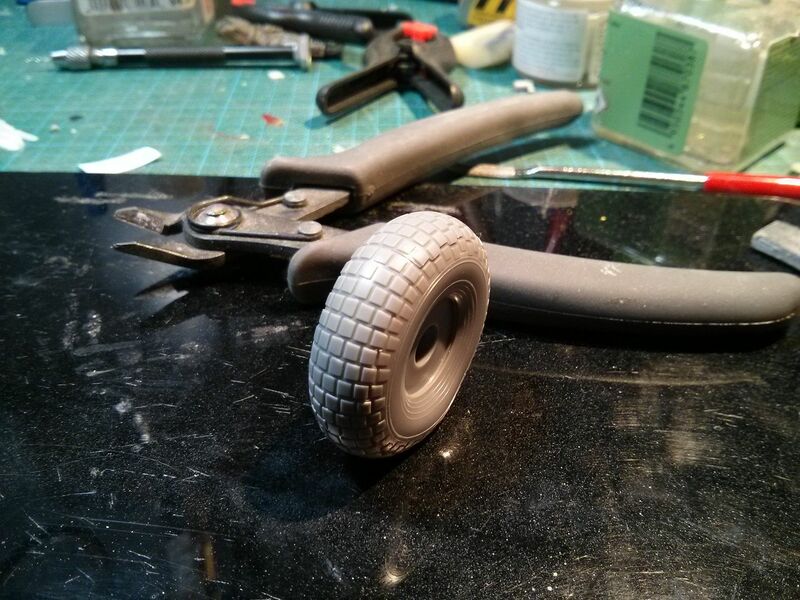 The only thing Im thinking may be an issue (or it might not be) is the gap between the tread plates. Brian, you can always leave them like that: tread separation at speed sorta looks like that. 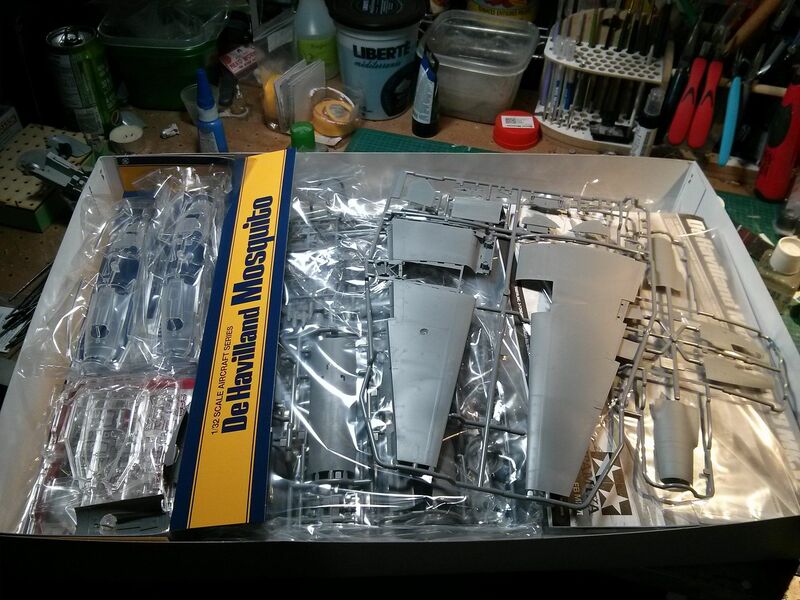 Surround them by bits and pieces of airplane parts and it would be authentic too. When I get back in a couple hours, I'll let you know how they look. I'm just babysitting my 6 month old niece at the moment and trying to making sure my 2 year old doesn't't bring the house down every time I look away. 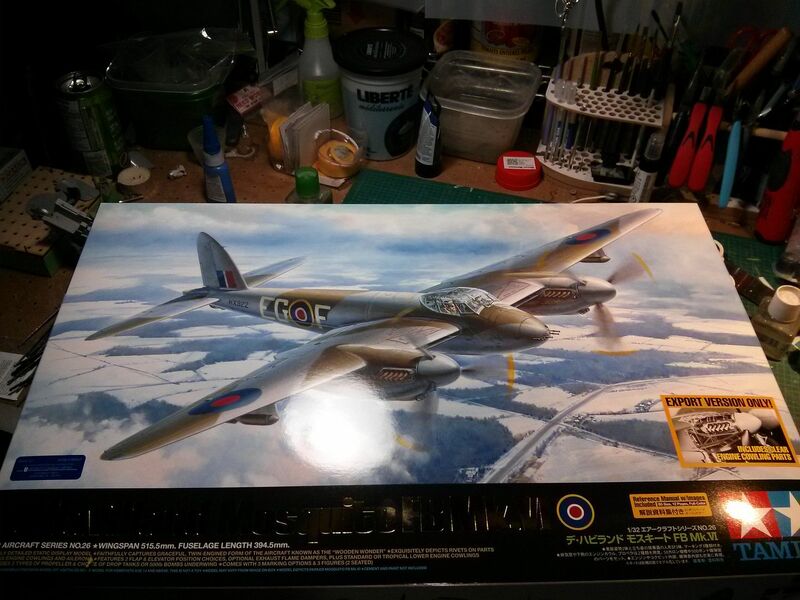 Very excited to see someone build this kit! 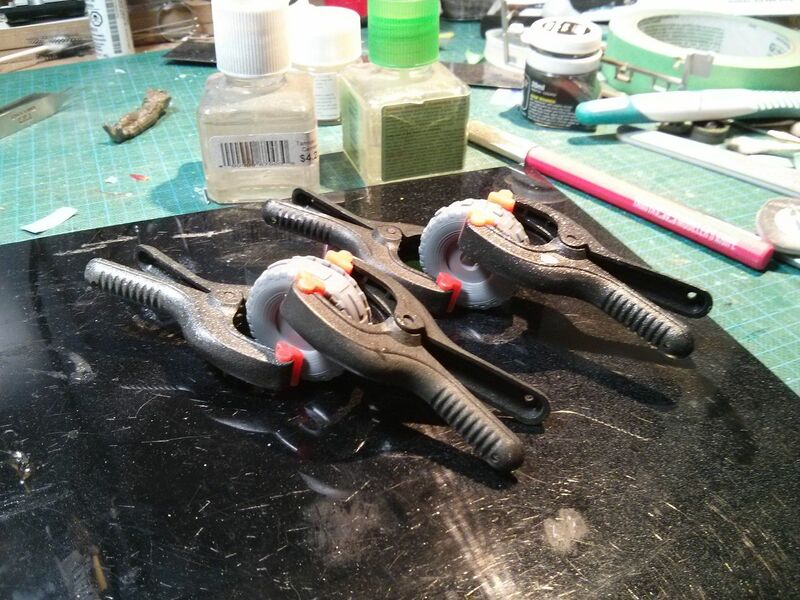 Here's the tires with the clamps off. There are nine parts that make up the tread: 7 are the same with three making up the area surrounding the bulge. Here they are cemented in place. You can see a slight gap in this one which was the first one I attached. 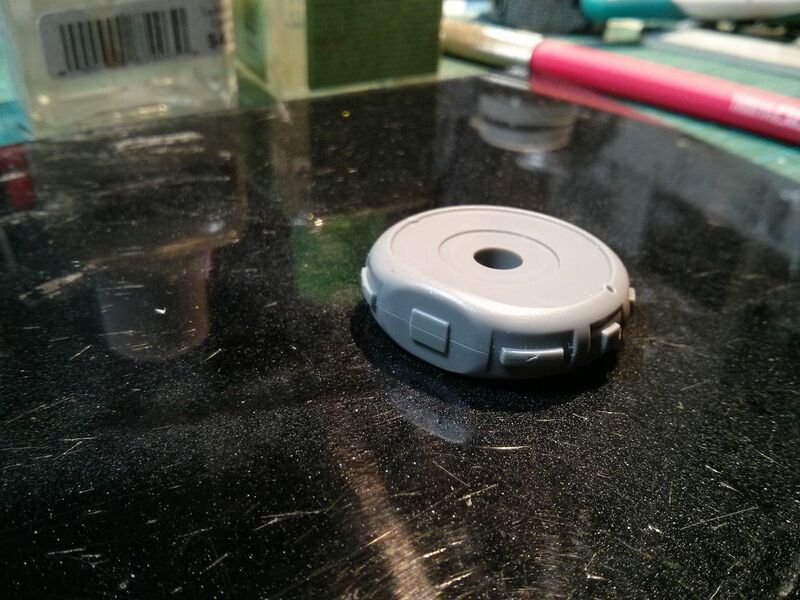 I gave the small square nub on the centre section a quick scrap with an X-ato and that helped to improve the fit. 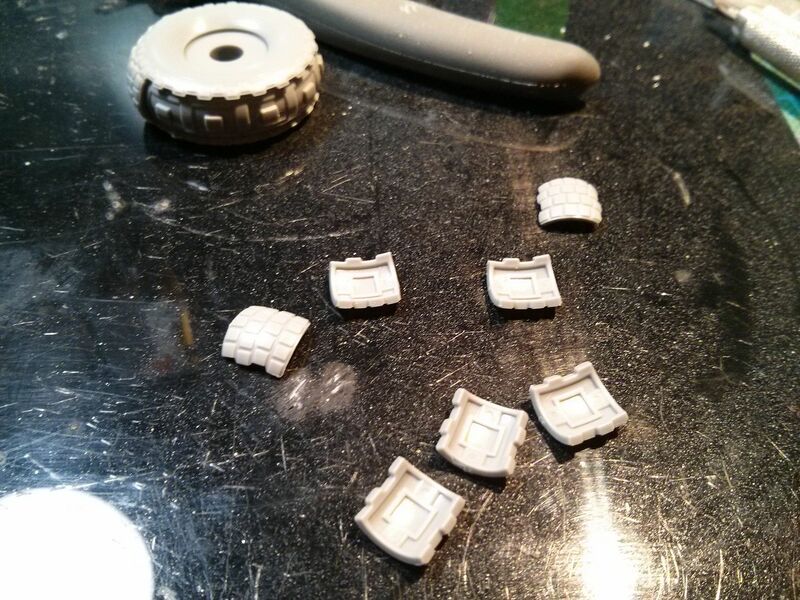 Also, when removing the attachment stubs, I would suggest trimming any remnants off carefully rather than sanding them. I'll see how the second one goes together which should be a bit better but overall, they do go together well. I'm hugely jealous, mine won't be here until at least this Friday. Reminds me of the Mars rover. All in all, those tires look like an excellent bit of engineering.